1. The ganache from the Madhuja‘s recipe Chocolate Pomegranate Truffles on Food52 which I use to smack down my chocolate cravings. 2. My 2 favorite dessert/sweets websites: the ingenious Pastry Chef Stella Parks of “BraveTart” and the informative (I love the step-by-step photos) Betsy Cohen of “Desserts Required.” Both are on my “must read” list whenever their latest blog posts are out. 3. My favorite all-around website for recipes has been “Leites Culinaria” especially with their various ethnic influences. Participating in “Eating Our Words” is on my bucket list. 4. If you have not figured it out, I am passionate about my cookbooks by Bruce Weinstein and Mark Scarborough. 5. When I discover a famous or well-known fiber designer/chef/blogger is down-to-earth and has no problem chatting with everyday folks like me, I am the first person to praise them and their work passionately. I can be quite the dedicated fangirl. 6. When I pin or post about specific recipes or patterns here, on Ravelry, or on Pinterest, it is because I genuinely like and appreciate them. Given enough time, I would craft/bake/cook ALL.THE.THINGS. 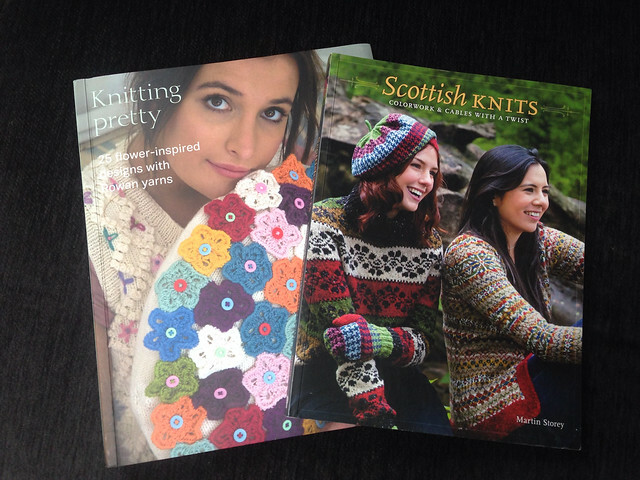 If the winner decides on Martin Storey, s/he gets not only the previously shown “Scottish Knits” book, but also his brand new “Knitting Pretty: 25 Flower-Inspired Designs” book which I received fresh from the press. 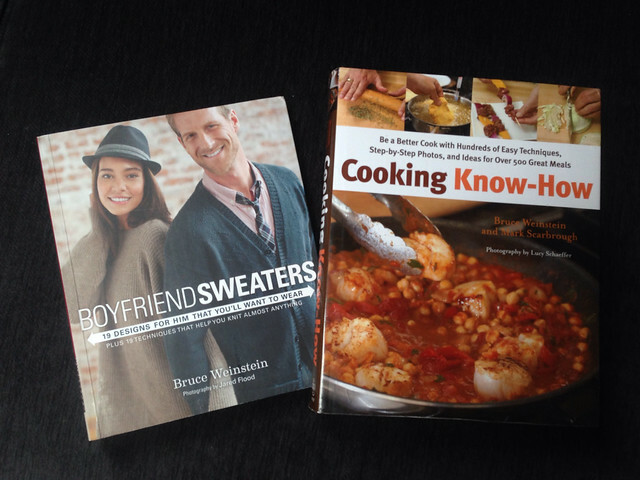 If the winner decides on Bruce Weinstein, s/he gets not only the previously shown “Boyfriend Sweaters” book, but also an unsigned copy of his and Mark’s “Cooking Know How” cookbook (I had bought a few when I spotted them at a Tuesday Morning). This cookbook is one of my favorite gifts to share with fellow foodies. 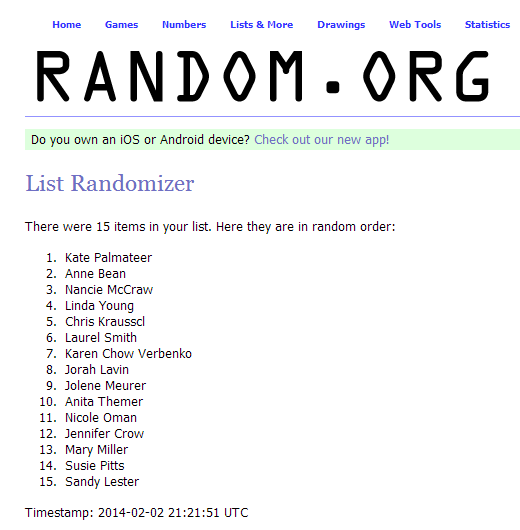 Winner of 2 Martin Storey or Bruce Weinstein books: Jorah Lavin!